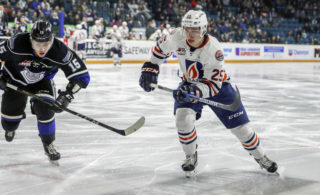 Kamloops, BC – The Kamloops Blazers have acquired 19-year-old forward Kobe Mohr from the Edmonton Oil Kings in exchange for 20-year-old forward Quinn Benjafield and a conditional fourth round pick in 2020. 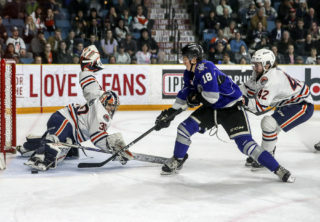 Mohr comes to the Blazers after spending the past three seasons with the Oil Kings. In 58 games during the 2017-18 season, he had 11 goals, 17 assists and 28 points along with 64 penalty minutes. 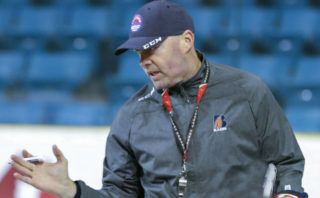 Benjafield played 261 career games with the Blazers over four seasons and recorded 127 points. 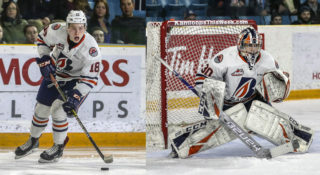 “We’d like to thank Quinn for his contributions to our team over the past four seasons and wish him the best of luck in his final WHL season in Edmonton,” said MacGregor.